In March of each year in recognition of Disability Awareness Month, Rauch offers two activities to fourth grade students in our community. This is an annual event for 4th graders. Many schools and teachers have made it an integral part of their annual curriculum. 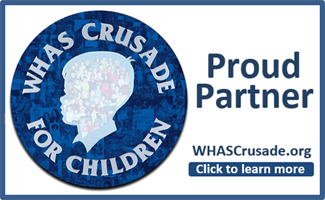 To date over 5,500 4th grade students in Floyd and Clark Counties have participated in this annual event. YOU can help spread some holiday joy! Each year, we host a holiday celebration for participants in all our programs… the most genuinely and completely joyful day we have all year. During the week of Christmas, our clients and staff will gather at Rauch Industries to dance, dine, and be merry… and yes, receive a small gift. Can you help? We need approximately 400 of the following types of items (Dollar Tree/discount store items are fine!) so that we can provide a gift for all the individuals we serve. Rauch is pleased to announce and congratulate 2015 Imagine Award Individual honoree Bryan Varner. Born with cerebral palsy, Bryan Varner has had many hurdles to overcome, but he refuses to let disability stand in his way. He is an intelligent, hardworking problem solver, approaching challenges with a positive, can-do attitude. Today, we had the privilege of hosting the Indiana Association of Rehabilitation Facilities' Fall Legislative Forum. INARF is Rauch's trade association, and is celebrating their 40th year of service to our industry this year. We lost a good friend this week. As the world bid farewell to 2013, we parted ways with Diane, who touched our lives at Rauch on and off for the past fifty years. Diane received Rauch preschool services, went on to attend school at Mt. Tabor, and later was a participating artist at Rauch's "A Place to Create" art studio, an attendee of ourAdult Developmental Activities program, and one of the first residents in our housing at Hawthorn Glen. Although she was born with Down Syndrome, Diane's parents, who loved her unconditionally, worked to ensure that her life and activities were happy and meaningful, including Girl Scouts and voice lessons. Today, at Diane's service, many of our staff shared their sweet memories of her. Today, Bettye (our CEO) and I attended The Arc of Indiana and INARF's Legislative & Critical Issues forum in Indianapolis. This annual gathering of disability service providers from across the state provides a time to look at data, trends, and legislation that is impacting or may impact our consumers. This is also a time to recognize a legislator who is doing good work to impact people with disabilities in Indiana.